Today at PlayStation Experience 2015, Gearbox Software’s Randy Pitchford jumped on stage to give attendees a first look at one of the oddest, cutest and most fearsome playable heroes you’ve yet to see in a game: A penguin…in a hulking mech suit. Because Battleborn. The 16th Battleborn hero*, Toby, may look like a huggable little penguin ready to march off some arctic shelf – but don’t underestimate this angry engineering genius. After being rejected by the Peacekeepers faction for being “too cute to fight,” Toby’s typical mild-mannered temperament turned to anger. He channeled that rage into constructing a grotesque and insanely powerful mechanized suit and joined the Rogue faction in the fight to save the last star. Catch a glimpse of Toby in action in the video below, then read all about what makes Toby tick on the Battleborn News blog [URL]. As a bonus, you’ll get your chance to try Toby for the first time on PS4 during the Open Beta. Start sharpening your swords and loading those miniguns, the Battleborn Open Beta is coming next year to the PS4, PC, and Xbox One. 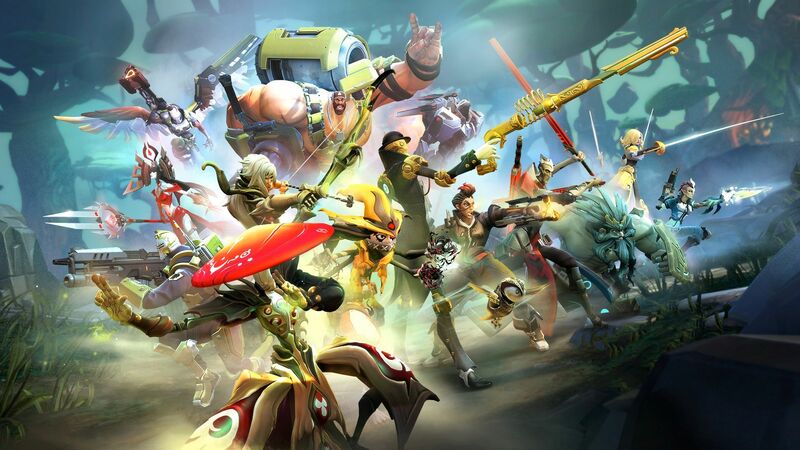 Don’t forget, PlayStation 4 players get early access during the upcoming Open Beta AND as a special thank you to all those PS4 players who participate in the Open Beta, we announced today that they will receive a bonus 26th Battleborn hero after the game launches on May 3, 2016. To qualify for and redeem the bonus reward, PS4 players must login to their purchased version of Battleborn using the same SHiFT account they played with during the Open Beta. Today we announced that Battleborn is available now for digital pre-order on PlayStation 4 and will be available for digital pre-purchase on PC starting Monday, December 7, 2015 through Steam. Battleborn will be available for digital pre-order on Xbox One in the future, so stay tuned for more info on that soon. Pre-order from Steam starting December 7, 2015. 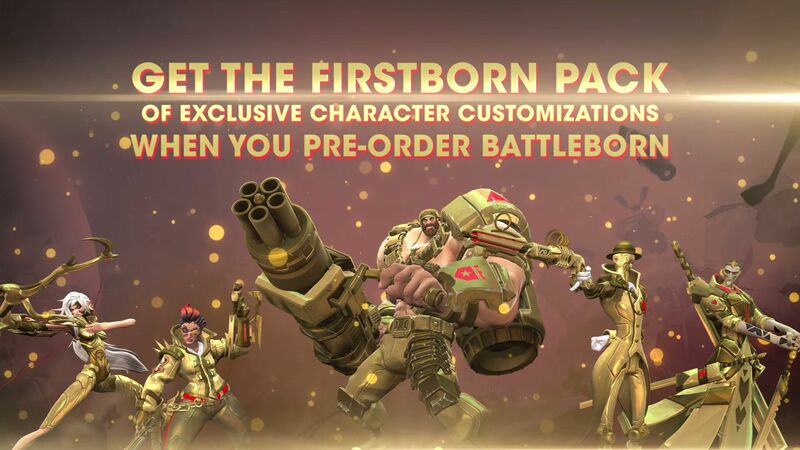 Adorn your heroes in golden character skins when you pre-order Battleborn and get the Firstborn Pack, which includes skins for Thorn, Reyna, Montana, Marquis, and Rath. Looking for something more tangible in addition to the character skins? 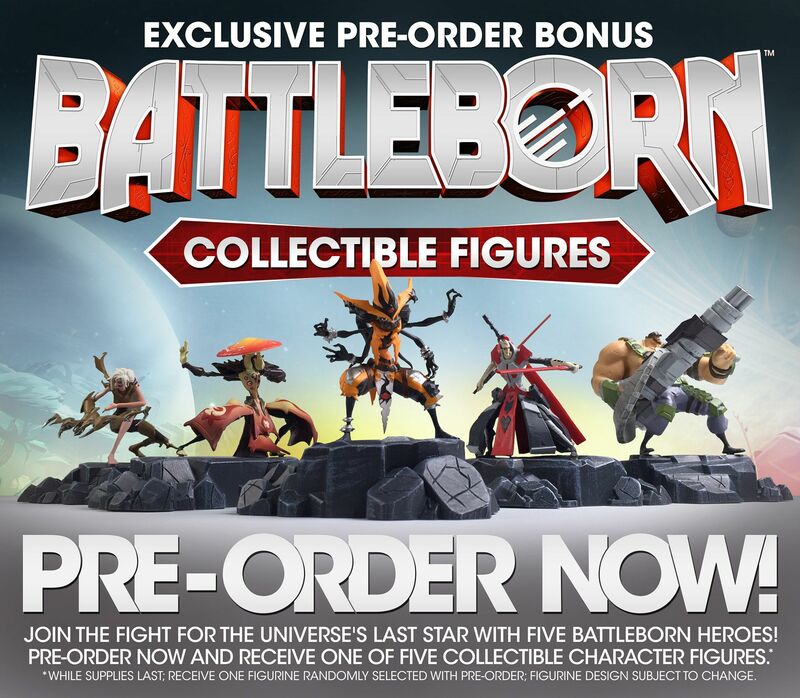 Find out how to get a Battleborn figurine at select retailers. *Toby is the 16th playable hero out of the 25 heroes available at launch. He is not the currently unannounced 26th playable hero available after the game launches on May 3, 2016. DLC Plan Update 1 – What’s Next for Battleborn?